Participating in the One Room Challenge was hard for me as it took a lot for me not to compare myself to other participants. 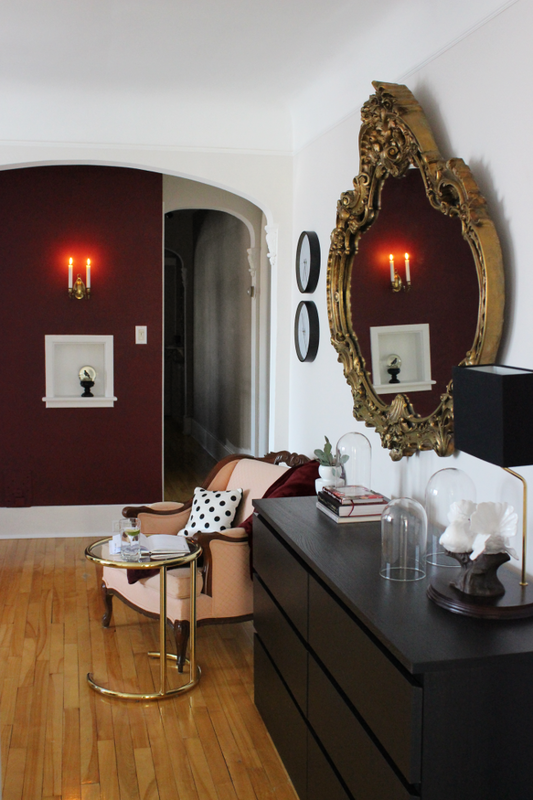 As a renter, I was not able to renovate, add millwork, change carpeting, etc., to my space. That left me with the 4 walls, ugly carpet and a window. Working with what I had, a few thrifty finds, fresh wall paint, fabric and artwork, I managed to create a space for me that was not only budget friendly but rental friendly as well! 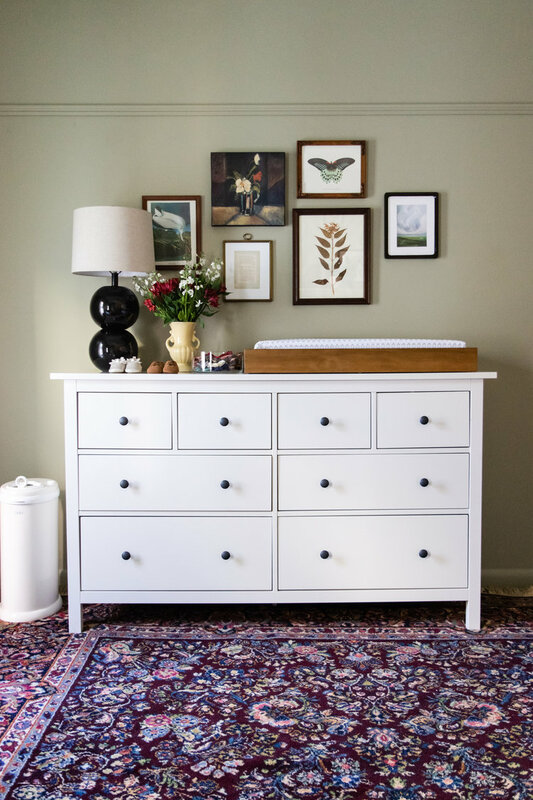 What I did find is, you don't have to spend a lot or own your home to have a beautiful space. 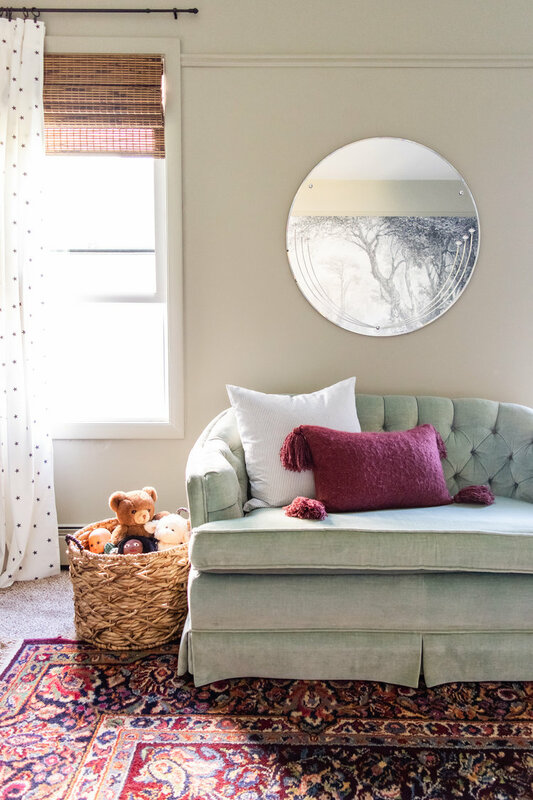 Scouring the MANY participants on the One Room Challenge, I have rounded up some of my favourite spaces that are budget and/or renter friendly! 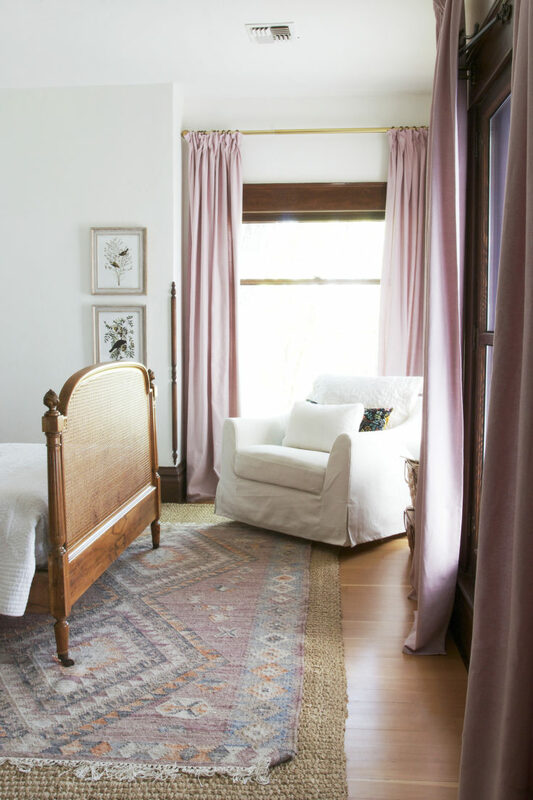 Sarah Gunn, a fellow Canadian and renter, created a gorgeous space for herself and her partner. 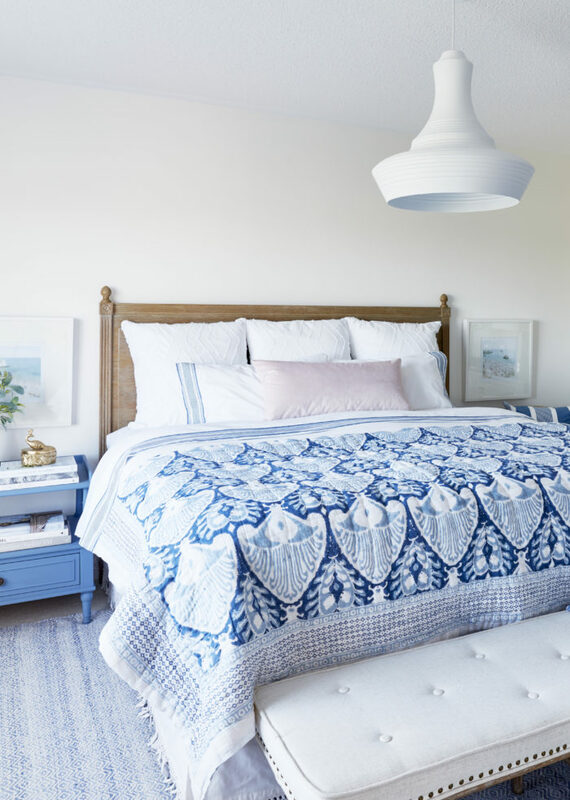 Using drapery, new furniture, accesssories she created a cohesive and inviting bedroom. 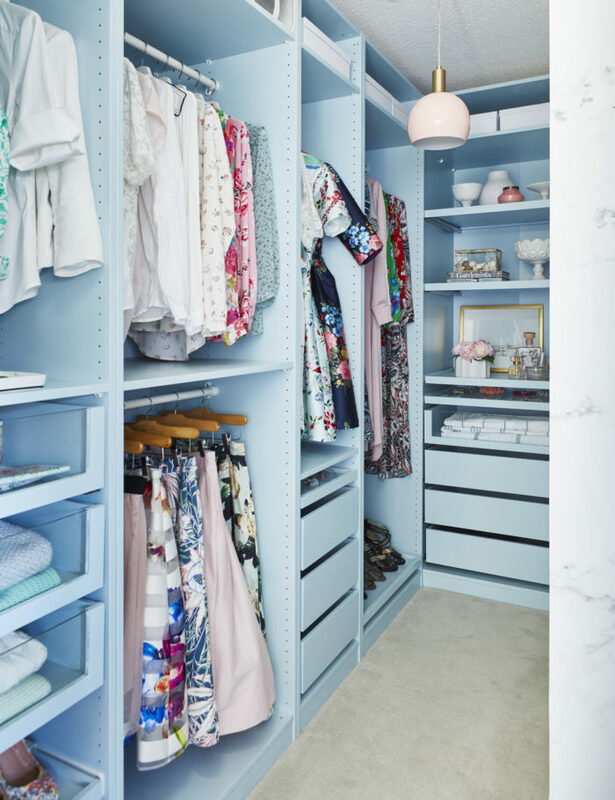 The icing on the cake is the "custom" closet she created using Pax wardrobe units from Ikea. Painted in a serene blue she gave the unit a custom look. She can take apart the wardrobe units and take it with her to her next house if she chooses! 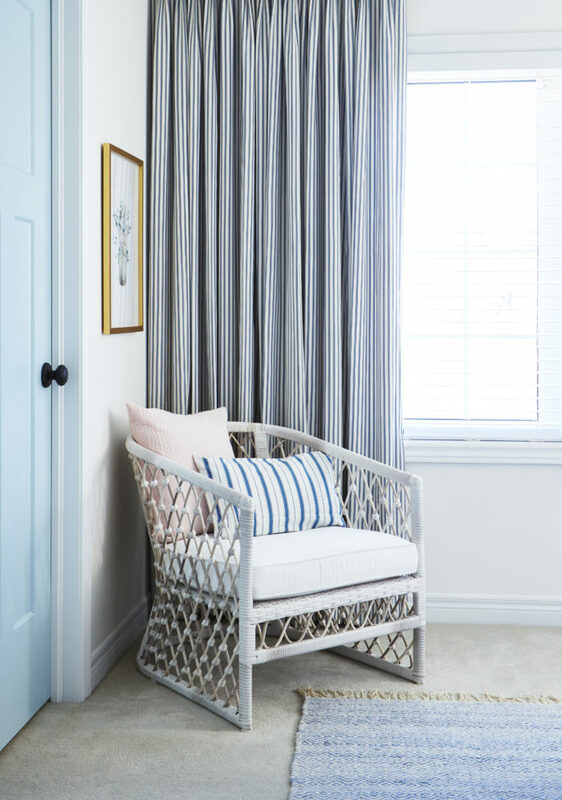 She didn't shy away from custom drapery, new lighting and adding her personal touch to the closet. Other than the door, she can take everything with her. 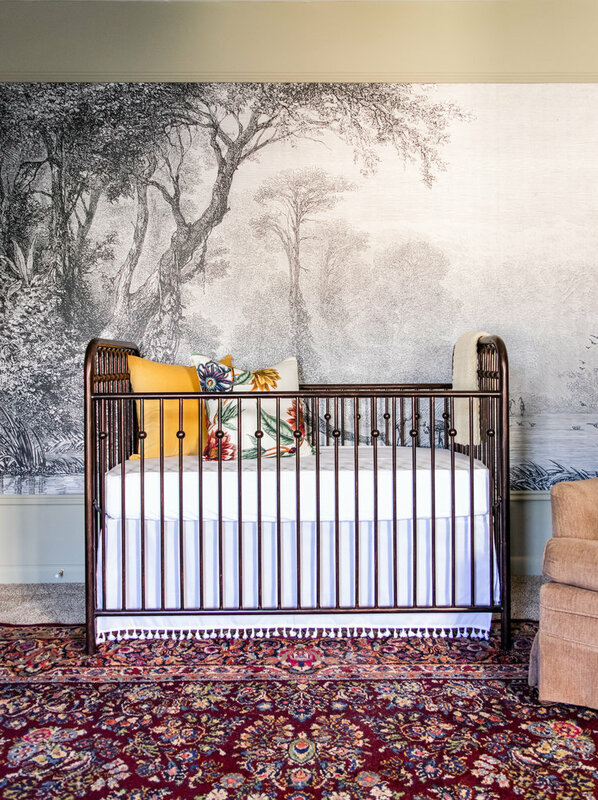 Taking cues from her nursery design, you can see how thrifted furniture and a wall mural creates such a chic space! 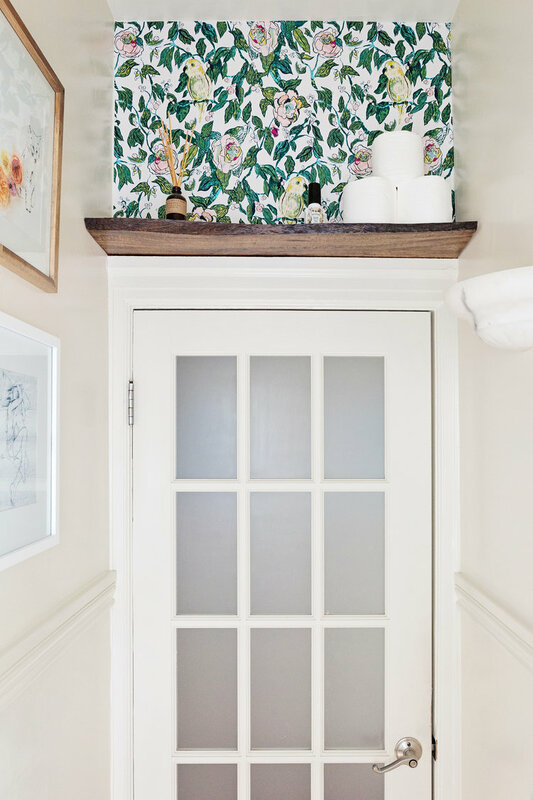 If you were renting you could take a mural, mount it on large plywood with a frame and hang it up! 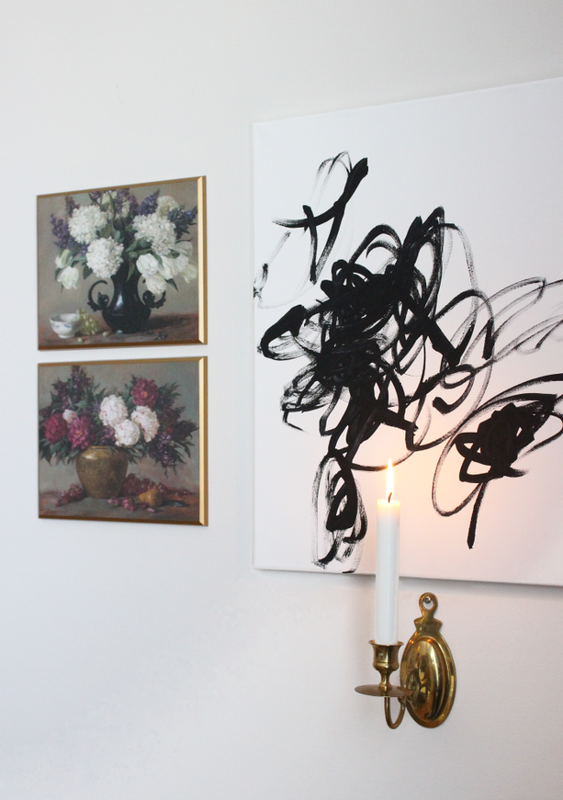 Stevie used what she had, mixed with vintage pieces and show stopping mural to stop you in your tracks! 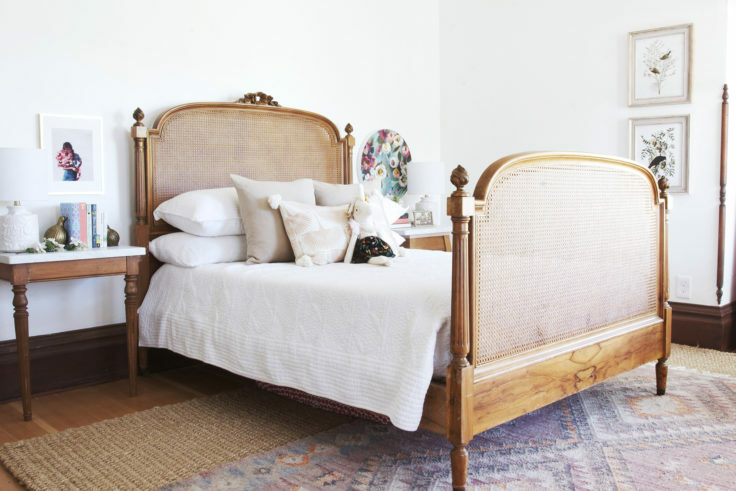 What caught my eye was the FREE bed they scored on Craiglist. You read that right, free. What a drool worthy find! 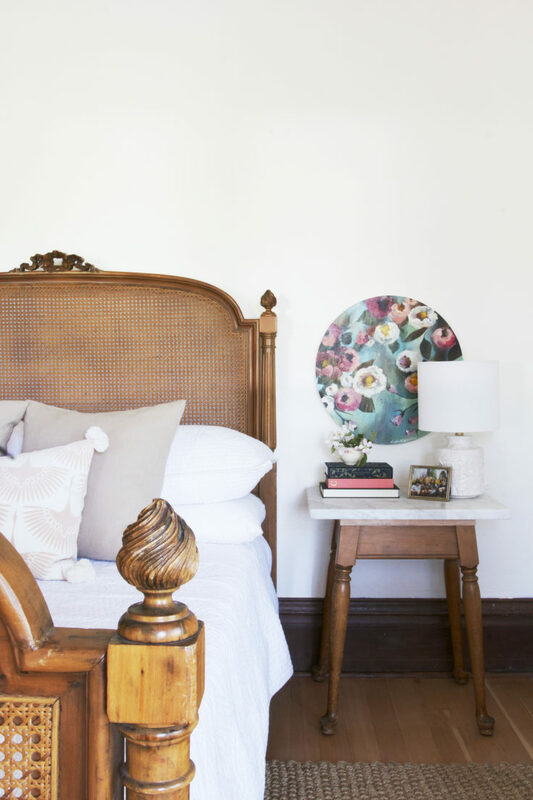 They DIY'd the drapery, made the table from bits they had laying about, used what they had mixed with that fabulous bed and used up scrap wallpaper, they created a space easy on the pocket book, all for under $500. Alex and her husband recently moved to Canada and are renting an apartment in Ottawa. LOVE how she used paint, fabric and thrifted pieces to create this fabulous dining room! 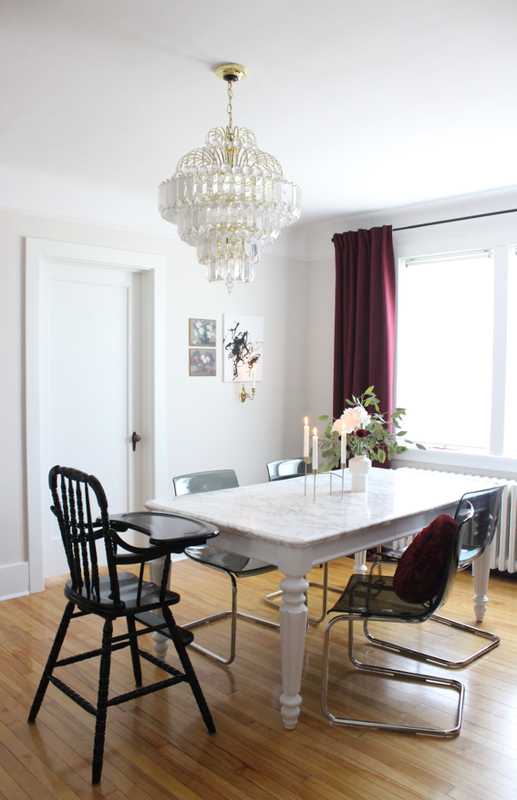 Love the chandelier, the mirror and the dining table mixed in with Ikea! Even the high chair looks so chic! 6. 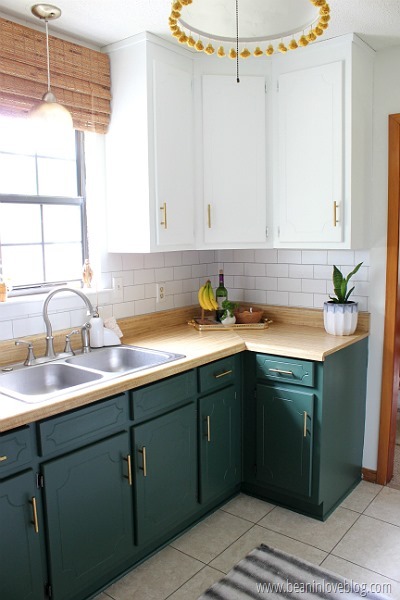 Bean In Love $160 Kitchen Makeover! 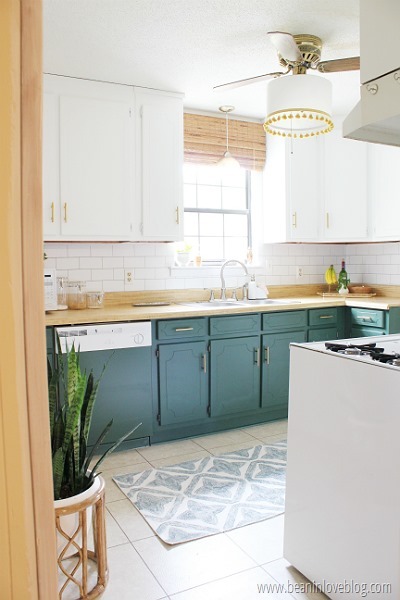 This kitchen is a true testament to the power of paint! A fresh coat of paint and wallpaper. 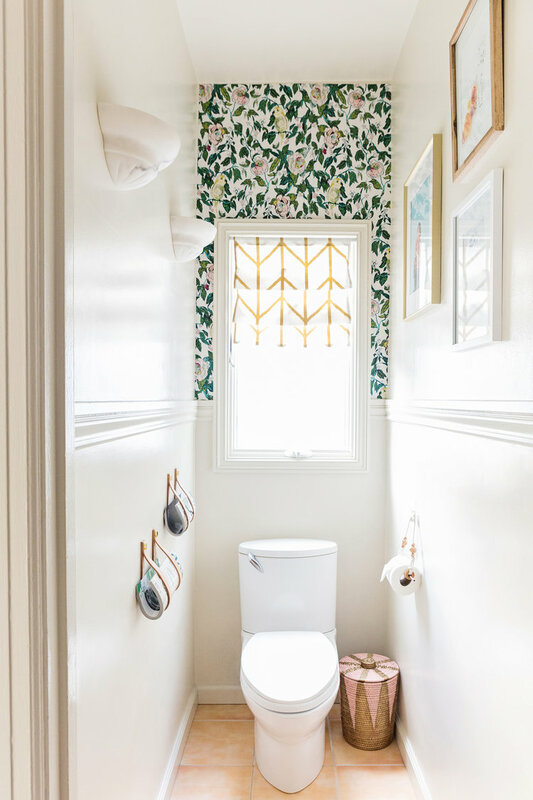 yes, those are not tiles but wallpaper, takes this space from the glossy 70's to a modern fresh space. 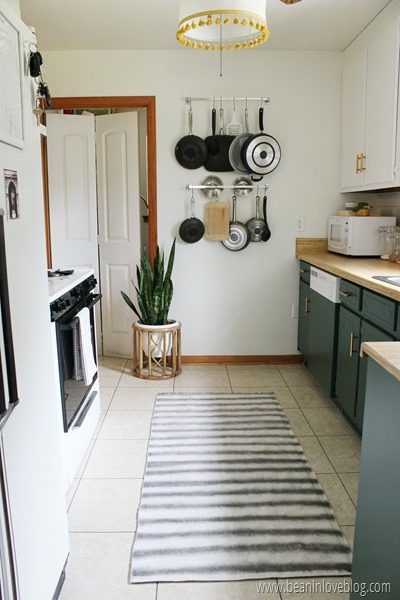 I LOVE when people re-use and re-imagine their spaces with a little DIY and elbow grease.